I was really looking forward to reading this book. I was attracted by the cover (so nice not to have yet another wishy-washy, pastel chick-lit type of cover) and by the title and the blurb on Amazon. I’d also read some splendid psychological thrillers recently, notably Gone Girl and was eager for more. I was to be disappointed. Strangely though, this was almost a good read. That is, if you are thinking mostly in terms of the need to keep reading to find out what happens. On the other hand I found myself profoundly irritated, right from the start. The first and continuing source of my irritation was the editing, or rather the lack of it. If ever a book could have done with a good pruning, this was it. You make a point, or describe someone’s innermost thoughts, or describe a scene. Then you stop. There is no need to say the same thing over and over again, in slightly different ways. A woman so transparent their brains must have been in their floral wellies not to have seen right through her. 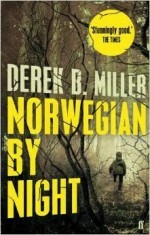 I have just reviewed Norwegian by Night. A book that has many joys, of which the main one is the character of Sheldon. So endearing, prickly and flawed that you almost believe he is real. The characters in this book are the complete opposite. Two-dimensional paper cut outs, straight out the pages of Country Life or Country Living. And shallow with it. And gullible. So-called friends willing to believe the worst on the say-so of a comparative stranger. A woman so transparent their brains must have been in their floral wellies not to have seen right through her. This is such a pity, as the premise of the story is a good one. Gaslighting is a chilling form of mental abuse where false information is cunningly planted to cause the victim to doubt his or her own sanity. The fact that it happens in the real world should have lent credence to the book. And there were indeed a few occasions when I wasn’t sure who was the victim and who the perpetrator, as was the author’s intention. But in the end it wasn’t enough. In view of all this, why would I give the book three stars on Goodreads? Simple. Because despite my many criticisms, this is a book that you have to keep on reading – no mean achievement for any writer. It’s a shame that the ending is rushed and implausible. Implausible or not there’s nevertheless a brilliant, subtle clue right at the very beginning. One which I missed though it’s hiding in plain sight. See if you can spot it. Enchanting, erudite and very, very funny. The Book of Lost Things is magnificent; it pleases on so many levels. It’s an adventure, a quest, an examination of the psyche of childhood. It’s a labyrinthine journey through the worlds and the landscapes of fairy tale. With more twists than you’d find on a stick of barley sugar on the witch’s house in Hansel and Gretel. With a book so overflowing with riches, it ‘s difficult to know where to start. Maybe I’ll start at the end. No, there are no spoilers. I wouldn’t do that to anyone, especially not to someone who has yet to read it. I’m starting at the end because my reaction demonstrates the power of this book. I cried. Yes, I cried when I read the last chapter. It was sad, realistic, poignant and anything but sugar coated. A truly fitting ending for an extraordinary book. The Book of Lost Things introduces us to David who is 12. 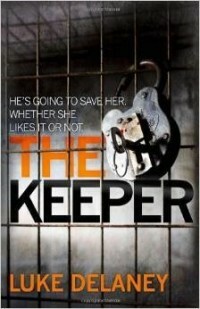 His mother is dying and David, helpless, does everything he can to keep her alive. In his description of David’s rituals of touching and counting, John Connolly offers a most sensitive and enlightening explanation of Obsessive Compulsive Disorder (OCD) and its triggers. He gets inside the head of a small boy who thinks his mother died because he didn’t do enough to keep her alive. “Something tore inside him every time he saw his father holding the new arrival.” Increasingly miserable and angry, David retreats into his own world. As his fury and grief mount, David’s thinks constantly of his mother until a day comes when he hears her voice. Her voice calling to him, begging him to rescue her. Summoning him to the sunken garden. As her voice, becomes ever more insistent he is forced to overcome his fear of the place and to follow. What happens next is yet another demonstration of John Connolly’s skill as he welds reality to unreality. The seeds of the eventual denouement are sown; they are there, but as light as those on dandelion clock. From now on we are in the world of the brothers Grimm and of myth, legend and fairy tale. A world of monsters and harpies, of trolls and dwarves. Of wicked stepmothers and weak kings. Of sleeping princesses and enchanted castles. Peopled with woodsmen and hunters and bears and monsters. Above all, it is the world of the crooked man. The crooked man who steals children who are never seen again. The crooked man who wants something David can give him. Who will stop at nothing until he gets it. We also have trolls who suffer from severe acne. A prince who ‘ponces in like a big, perfumed tea cosy.’ A Snow White who is fat and a group of quarrelsome, Marxist dwarves. As David battles to reach the king whom, he hopes, can help him he is aided along the way by a variety of characters. The woodsman, the dwarves – eventually – and Roland, of Childe Roland, among others. All tell him stories that would be familiar but that they have, at the author’s hands, undergone subtle and not so subtle transformations. To say much more would be to spoil the surprise, and the fun. Suffice to say that the way John Connolly re-imagines these tales is masterful. Both in the wealth of his imaginings but also in the way he relates them to the psyche of a twelve year old who has lost his mother and who is struggling with his feelings towards his father, stepfather and stepbrother. There is tension aplenty in this book. It also brims over with wit and humour. David, for instance, loses patience with the woodsman who was ‘fine for decapitating wolves and giving unwanted advice’ but who was falling short at keeping up with developments in the kingdom. We also have trolls who suffer from severe acne. A prince who ‘ponces in like a big, perfumed tea cosy.’ A Snow White who is fat and a group of quarrelsome, Marxist dwarves. Though to quote David’s own words ‘for a group of homicidal, class obsessed small people, they were really rather fun.” Why Marxist dwarves? The explanation is ingenious and worth waiting for. I cried when I read the last chapter. It was sad, realistic, poignant and anything but sugar coated. A truly fitting ending for an extraordinary book. Beautiful language, intricate, colourful and disturbing imaginings. Wit, fun and learning. You’ll find them all between the covers of this book, but there’s more. When you’ve finished you’ll find an interview with the author, in which he gives a very personal and enlightening account of his approach to the book. There follows a commentary on each of the fairy tales, in the sequence in which they appear. Each one is linked to a relevant passage in the book and references modern films and books inspired by the tales. Finally we have one of the traditional versions of the story. As I read them I was tempted to regret that I hadn’t read them first, to remind myself of some of the stories I had forgotten. On reflection, though, I’m glad I didn’t. The book is complete in itself. The additions are akin to a literary liqueur, something to linger with and enjoy with the coffee – afterwards. I read Riddley Walker a long time ago. It delighted me then as it delights me now. I felt, and still feel, that everyone who loves the English language should read it; I have recommended it over the years to many people. It wasn’t the first Russell Hoban book I read and, in the first instance, it was the titles that attracted me. The Mouse and his Child, The Lion of Boaz-Jachin and Jachin- Boaz. I loved his quirky oddness and went on to read more. Some memories remain with you, no matter how brief the event, or how much time has passed. They don’t’ necessarily have the significance of great life events, such as weddings and the first day at big school. Nevertheless, possibly because of their intensity, they stay in your mind. 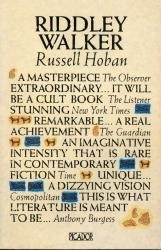 Thus I still vividly remember meeting Russell Hoban at the Hay on Wye Literature Festival. I don’t remember the year, that wasn’t important. I do remember the cottage in the field beneath the bridge where we stayed, a bunch of us who had all met on an Arvon Foundation course.Russell Hoban gave a talk and a reading. Then he stayed for a long time signing copies of his books, speaking with each person. Not hurrying anyone along. One young man staggered up holding a pile of books that he had to anchor with chin to stop them falling. They were not newly bought – which is rather the idea of a signing after all – but well worn, much read copies. Perhaps another author might have balked at this. Russell Hoban expressed his pleasure that someone had read so many of his books and patiently signed every one. I was just someone who came along to a reading by a favourite author but he made a lasting impression on me. I always remember him fondly as a kind man as well as a brilliant writer. Back to Riddley Walker. It’s quite strange to re-read a special book, one that made an enormous impact on you years before. There’s always the danger that some of the magic will have gone because you are no longer the same person. I didn’t experience that with Riddley Walker, but certainly it was a different experience this time round. I won’t say a great deal about the plot, as there are some splendid and detailed reviews on Goodreads. Suffice to say that the book is set in the remote future, perhaps some 2000 years after our world has been wiped out in a nuclear holocaust. Set in Inland – England, one of the easier words to figure out – it is the story of 12 year old Riddley Walker living in a society that has regressed to the iron age, with only distorted remnants of knowledge of what went before the 1Big1. This is a book that it pays to read slowly. Indeed you really have to read it slowly to untangle the mishmash of phonetic and dimly remembered vocabulary, much of which bears no resemblance to the original. It can, at times, be extremely frustrating as you mouth some words over and over, putting the emphasis on different syllables, trying to work out what they mean, because you know you can figure it out. I got hung up on the Eusa story. If I’d looked at the Acknowledgements on the first page it was staring me in the face, so this is not a spoiler. Nevertheless I was sure I should know what it meant and had forgotten it was based on the story of St Eustace and his connection to Canterbury – Cambry. Defeated, I got up in the middle of the night and Googled it! That’s the effect this book has on you. It’s like reading a puzzle. Endlessly intriguing, infuriating and joyful by turns. For me, though, it’s the language that pulls me in. I was going to say more than the story, but in fact the two are so intertwined it would be hard to say when one ends and the other begins. Every time you read it you find something different. I picked up the book just now to find some words to use as examples. And suddenly realised that ‘aulder trees’, which I had imagined to be ‘Alder’ trees are in fact ‘older trees’. Doh! Even as I write this I’m conscious of the things I’ve left out. Not least of which are the many cultural references and the philosophy. There is still one thing that puzzles me – the reference to Rizlas. It seems so out of keeping with the rest of the fragmentary, distorted language. Nevertheless, I’m sure a writer of the calibre of Russell Hoban meant it to be there. I only wish I could ask him. I’m sure he’d reply, were he still with us. I’ve never been disappointed in anything that Lesley Glaister has written and ‘Little Egypt’ is no exception. Rich, deep, deceptively simple, enthralling and horrific by turns, it is beautifully observed and written – a subtle delight. The two timescales – 1920s and circa 2000 – are handled in such a way as to be totally believable. Two different world’s experienced by one young girl become an old woman. I was going to say bag lady, but she’s not exactly that. These days social services would almost certainly swoop on Little Egypt and the two youngsters but things were very different in the 1920s so that the situation is entirely credible. As are the plot’s various twists and turns. I was constantly surprised, for the book often appears to be taking you in one direction only to go somewhere else entirely. The writing is so skilful that, although the clues are there I, for one, didn’t see many of them coming, though the tension throughout had me in no doubt that something horrific was going to happen. It just wasn’t what I expected. The book often appears to be taking you in one direction only to go somewhere else entirely. This is another book where the characters are wonderfully drawn. I sympathised with poor Osi and, to some extent, Victor. However, my heart went out to the responsible and feisty Issy and also to loyal and put upon Mary. I’d have had the selfish, self absorbed parents in court – though their behaviour would not have been considered as reprehensible then as now – and yet their actions and behaviour is entirely in character. As both readers and writers know, it’s extremely difficult for a writer to sustain tension right to the very end, to finish well and satisfactorily. Here again, by quietly and almost unnoticeably introducing some crucial facts early on – the lawyer, the trust fund, the greed of the corporation that owns the supermarket – Lesley Glaister gets over some possible, potential stumbling blocks. I particularly admire the fact that she has both the skill, and courage, to leave some loose ends, adding even more credibility to a wonderful story. You know how it is when you know someone who is intensely irritating. They drive you nuts. But just sometimes, unless they are real monsters, you find that inexplicably you get quite fond of them. Even though they still annoy the hell out of you. Some books are like that. I love The New Yorker. Or rather I love the idea of it. I haven’t read that many issues though I am familiar with the cartoons; it’s one of those magazines that are part of my childhood and growing up. Like Punch. So I was eager to read The Receptionist, to get the lowdown on what life was like in the creative and humorous hotbed that was The New Yorker in the late nineteen fifties and sixties. The era of Madison Avenue and Mad Men. My excitement was short lived. The irritation set in from the very first page with what appeared to be an implausible story. A naïve new graduate from the University of Minnesota takes a temporary job with a film director, who immediately invites her to send in her resumė, which he promptly passes on to the famous New Yorker writer E.B. Wright who agrees to interview her. I’m not doubting it happened – things like that do happen. But the name-dropping and the smug self-satisfaction turned me off straight away. I was eager to read The Receptionist, to get the lowdown on what life was like in the creative and humorous hotbed that was The New Yorker in the late nineteen fifties and sixties. The era of Madison Avenue and Mad Men. The interview was ‘unprecedented’. Her attitude to the famous writer patronising – ‘I was overwhelmed with a desire to put the poor man at his ease.’ Her statement that ‘anything would be of more interest’ than the typing pool, is arrogant in the extreme. None of this endeared me to the author. However, I decided to battle on. And it was a battle. 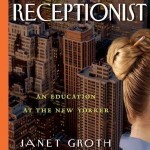 I read ‘The Receptionist’ on and off for several months; it felt like a very long six months. There’s something self indulgent about this book, at least the first half of it. Something self-conscious. In many places all it amounts to is names, famous names, trotted out one after another. As I mentioned, most of the names meant nothing to me but that’s hardly the author’s fault. However, I’d have liked to know more about them, I thought that was what I’d get from reading the book. I didn’t in the main. There were some highlights. I had read most of Muriel’s Spark’s work when I was younger and loved it. So a whole chapter devoted to her had me sitting up and taking notice. I found myself thinking, goodness this bit is actually interesting. If only she had kept it up. The book’s covers and no less than four pages at the beginning contain glowing reviews from the likes of The Chicago Tribune, The New York Times, The New York Journal of Books, The Washington Post and more. At first my impression was that I had been reading a different book. I don’t understand how The New York Journal of Books, for instance, can refer to “verbal dexterity” when some passages are so muddled I had to read them over and over to make sense of them. And when other sections read like a mushy romantic novel and others are plain silly – “how could I ever go to bed with someone who not only misquoted Coward but could dis the song Ingrid was humming just before she said, “Play it, Sam.”? “ You could be forgiven for thinking that was meant to be either funny or ironic. It isn’t. It’s twee. For the book’s real pleasure is indeed the self-examination. The dawning self-awareness and the not inconsiderable courage of the author in putting it out there for all to see. It is this honesty and self-knowledge that begin to throw light on the earlier chapters. I take issue with the ‘literate’ but apart from that those two quotes describe why I didn’t abandon the book half way through. For the book’s real pleasure is indeed the self-examination. The dawning self-awareness and the not inconsiderable courage of the author in putting it out there for all to see. It is this honesty and self-knowledge that begin to throw light on the earlier chapters. To reveal not so much a shallow, self important young girl revelling in her affairs with famous people, but a bright and talented young woman somewhat adrift and needing direction. Janet Roth was young in an era where men were all powerful and women, on the whole, were wives, housewives, typists or merely decoration. The era brilliantly depicted in the TV series, Mad Men. There were of course a few highly paid and powerful women columnists at the New Yorker in the nineteen fifties and sixties. Writers such as Muriel Spark and Dorothy Parker were also regular contributors. But you can see how a young aspiring writer from the mid-West, with absolutely zero confidence yet abundant feminine charms, could end up spending eighteen years as the receptionist on the eighteenth floor. The writer’s floor. Yet never getting that longed for chance to join them. Absurdly generous vacation leaves, with pay, plus indulgent working hours also contributed to this extraordinary long and ultimately fruitless employment. However, these conditions also allowed her to take classes and travel widely and all credit to her for keeping up with her studies. She may not have had the confidence or push to get herself the job she wanted. She may have been star struck and wild and self-absorbed, to say the least. But she didn’t give up. She just came at writing a different way. She obtained her Ph.D. in English, became a Fulbright lecturer and Professor Emeritus in English at a New York State university, taught at various other universities and is the author of three books on the literary critic and prolific writer, Edmund Wilson. So I have to confess I did grow quite fond of her in the end. I certainly admire her courage– her self-analysis is honest an insightful. As to the book itself – it still annoys the hell out of me. The description ‘page turners’ might have been coined for Lee Child’s Jack Reacher thrillers. I would say that they are the perfect time waster – like cats on the Internet – except that this would be to do them an injustice. Well written, exciting, with a charismatic hero and tension that builds from page to page, they truly are books that you cannot put down. I’ve read maybe half a dozen, including this one. While I thoroughly enjoyed them all, A Wanted Man has more substance than most of the ones I have read in that the plot is intricate and ingenious. Many layered with convoluted twists and turns. The characters too are more rounded, the old county sheriff, for instance – Sheriff Goodman, who was indeed a good man. The story begins. A man in a green winter coat goes into a concrete bunker, followed by two men in black suits. There is a short pause. The two men in the black suits come out again. They get into a red car and drive off. The man in the green winter coat doesn’t come out again. Then blood pools out from under the concrete bunkers door. The scene having been thus set, we now shift to Jack Reacher. Hitchhiking, as is his habit. With very little luck, which is also typical. And then he gets picked up and his luck changes. For the worse. It seems that this book follows Worth Dying For, which in turn follows 61 Days. I didn’t find this confusing. I did wonder how Reacher’s nose came to be broken. I also wondered why he was trying to get to Virginia. But these were passing thoughts because those events were not part of this story and, unlike some other books I’ve read recently, the author doesn’t attempt to try and cram those past books into this one. There’s no need. The action in A Wanted Man is absorbing enough on its own. No doubt knowing what went before would be interesting. But not knowing took away nothing from my enjoyment. 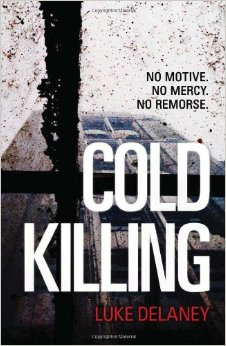 Lee Child’s simple and laconic prose might not suit every type of book, but it’s perfect for his Jack Reacher books. There’s room for every style of writing and I derive great pleasure simply from reading these beautifully crafted words. Not great literature maybe, but certainly good writing. And a master of tension and suspense. A good read, in every sense of the phrase. Certain books should carry the equivalent of a health warning. ‘Do not read this book unless you have read all the books in the series in sequence.’ Having said that, I don’t think it should be necessary. A book should either stand-alone or, if it references earlier works, the references need to be woven unobtrusively into the plot. It’s not what happens here. Great chunks of backstory are shoehorned in, getting in the way and adding to the confusion (of which there is a lot.) There seem to be several different plots, going off at tangents. And running through it a sort of ‘comic caper’ involving a Polish plumber and a bath. I was looking forward to reading Waiting for Wednesday. I was thrilled to discover that there were at least three Nicci French books that I hadn’t read. I’d loved all her other books – The Memory Game, Until it’s Over, What to Do When Someone Dies to name just a few. I’d actually enjoyed the first Frieda Klein story Blue Monday. Maybe I wasn’t reading it critically or perhaps because it was the first in the series it didn’t suffer from the problems I encountered here. Before I talk about these, I want to highlight some of the great things in this book. The opening for a start. It’s brilliant. The first paragraphs describe an ‘ordinary terraced house’, offering numerous small details that subtly build a picture of the type of people who live there. Thus ‘the paved and gravelled garden’, a ‘single trainer with its laces still done up under the window’, ‘a bird table with a few seeds scattered on its flat surface’. This is more than an excellent description. This is crime fiction from a highly skilled and creative writer. So we know we are being set up. We are. Next we meet the cat. We follow it through the cat flap and around the house. It takes its time (it’s a cat). The tension racks up (this is first class writing). Detail follows detail, adding to our knowledge of the family who live here, while we hold our breath, waiting for the inevitable. We’re not disappointed. I won’t go into any more detail, except to say that this book is actually worth reading for this first chapter alone. There’s more to be enjoyed too. Her portrayal of the teenagers is spot on. There are small, realistic and insightful touches such as Fearby, the old journalist who visits a bird sanctuary for comfort after having left the oppressive prison. His character is well drawn and believable, as is the victim’s sister, the rather obnoxious Louise. In contrast the main player, Frieda, is not plausible. Maybe for a fairly stereotyped portrayal of a psychotherapist but not for someone who would be let within a mile of a police investigation. Not in a million years. She’s irrational. Dysfunctional. In fact altogether a bit of a mess. This would be OK if there was anything endearing about her. There isn’t. I just didn’t care. I wanted to. I began the book in that frame of mind. However I became so irritated by her that once or twice I nearly abandoned the book. And for me to abandon a Nicci French book is something I would have said was unthinkable. The various plot seem to have nothing much to do with each other, the only common denominator being their overall implausibility and the exasperating Ms Klein. I didn’t enjoy this book. I was too annoyed. The beautifully written passages and sparkling, lively descriptions are far outweighed by clunky sections referring to previous events. These are only partly successful as they still leave many questions unanswered. The various plots seem to have nothing much to do with each other, the only common denominator being their overall implausibility and the exasperating Ms Klein. The introduction of her lover/former lover/close friend/who knows in the form of a letter tacked on to the end of the first chapter is abrupt. The builders Josef and Stefan are comedy stereotypes, along with Reuben whom I initially thought was a builder too. He turned out to be a psychotherapist. The whole tangled skein of her hinted-at involvement with the detective Karlsson, the appearance of her stalker and her antagonistic relationship with Bradshaw, yet another psychotherapist, makes little sense without having read Tuesday’s Gone. Altogether, a huge disappointment. I hate it when this happens. I don’t like giving writers less than glowing reviews. Especially a favourite crime novelist who’s given me so much pleasure in the past. This won’t stop me reading more Nicci French books but I think I’ll steer clear of Ms Klein and stick to the stand-alones in future. This is the first Neil Gaiman book I have read and I was looking forward to it immensely. Glancing through other reviews I could see that others felt it isn’t his best book. Though plenty didn’t agree. However, having nothing to compare it to I felt I was lucky as I couldn’t be disappointed. But I was. A little. At first. It was the title that drew me to this book. ‘The Ocean at the End of the Lane’. Posssibly sparked by something I had misheard on the radio, my imagination conjoured up magical images. The lane was a short lane leading from a suburban street of unremarkable, respectable houses. And the ocean was a real ocean. Vast. Unexpected. Just a few steps from this rather boring road. So eager had I been to start the book that I missed the page just before the Prologue. So my imagined faery scene remained intact. I read the first few pages with happy anticipation. I somehow glossed over the fact that the setting was rural, not suburban. I think I too became seven again. “I walked into the farmyard. I went past the chicken coop, past the old barn and along the edge of the field …” I too picked a handful of green nuts and put them in my pocket. Then I turned the corner and found the pond. Not an ocean. Not vast. Not unexpected. Just a pond in a farmyard. Not magical at all. A pond that a small girl had called an ocean. At that stage I felt that this was going to be a different book from the one I had expected. That was when I felt the twinge of disapppointment. Nevertheless, I was already appreciating the quality of the writing. Neil Gaiman’s ability to create a scene in just a few words. “I wore a black suit and a white shirt, a black tie and black shoes, all polished and shiny … I was wearing the right clothes for a hard day.” So I read on. Image piles on image. Weird images, scary images. The nightmare that isn’t. The terrifying, shudderingly icky worm – this is perhaps the thing that scared me most. Then, “Nobody came to my seventh birthday party.” I was hooked. It’s fair to say that I gobbled this book up. I raced through it. I am now reading books with a pencil and notebook on the bed beside me, but I hadn’t started to do that at that point. So I am having to go back to it to remind myself of the details. And there’s so much detail. So many images. The birthday cake that has a book drawn on it and tells so much about this small boy. The tiny little yellow washbasin in the bedroom “at the top of the stairs”. The white mini stuck on the verge, the green toothbrush with toilet paper wrapped round the top. Image piles on image. Weird images, scary images. The nightmare that isn’t. The terrifying, shudderingly icky worm – this is perhaps the thing that scared me most but I can’t say more without spoilng it. The everyday world where nothing is as it seems and no one can be trusted, not even your parents. I was no longer disappointed. I was and am enthralled. Nevertheless, I’m finding it hard to review this book. I don’t want to stick labels on it. There’s a real world. That pleases me. There’s a fantastical, other worldly world of monsters and orange skies and a sinister, shape shifting babysitter. That delights me. (Ursula Monkton. What a splendid perfect name, both normal and menacing). At least one reviewer has said that this book is childhood. It is. It’s that strange and wonderful world that only a child can imagine. A child or someone who is still a child in spirit. Someone who in some part of them has not really ever grown up. Who can journey back to that enchanted place where there’s a different moon on the other side of the house, where the past can be snipped away with a pair of scissors, where people live in the present and the past simultaneously. Where there are no limits to dreams and imaginings. Where children can ‘creep beneath the the rhododendrons, to find the spaces between fences.” And in the spaces between the fences lies a world of horror where a dead man walks “in a frilly white shirt and a black bow tie”, where the hunger birds have sharp beaks and faceless flapping things loom menacingly. As I write I’m increasingly conscious of the fact that no review of mine can do justice to this bewitching, charming, spellbinding story. You just have to read it. “I love my ocean,” says Lettie Hemstock. And I love it too. There are books that leave you feeling a little bereaved when you have finished them. ‘Apple Tree Yard’ is one of those books. There are books that, however good they are, leave you unsatisfied by the way they are concluded. ‘Apple Tree Yard’ is not one of those books. It gripped me from the perfectly paced prologue to the very end. When I say perfectly paced prologue I mean just that. The tension builds in the book just as it is doing in the courtroom. We follow the line of questioning without knowing what the protagonists are charged with. Unlike the jury we are totally in the dark. We just know there are two accused – the female narrator and another. At that stage we don’t even know for sure whether it’s a male or female, unless we have read a bit about the book, as I had. Unlike the jury we are totally in the dark. We just know there are two accused – the female narrator and another. The courtroom is described by referring to small details and observations, as are the jury, judge and other players. This is skilful writing. I am familiar with courts and the judicial system and felt I was there. The book is beautifully written by someone who has mastered the craft. We get show, not tell. We get small details and observations that paint pictures of places, people, emotions. The first violent twist in this story literally took my breath away. I felt as if I’d been punched. I can’t say more without spoiling the book for others; suffice to say that the hatred was palpable and the violence only too real. I didn’t see it coming just as I didn’t anticipate the other twists and turns. Some reviewers find the characters unsympathetic and their actions incomprehensible, particularly the main character and narrator, Yvonne. Given her lifestyle and background I too found Yvonne’ actions hard to justify. And then I think I romanticised the whole thing so as to be able to justify it to myself. Only to be brought back to earth with a crashing jolt as the courtroom drama unfolded. 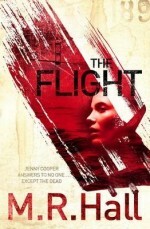 But that’s another strength, for this is much more than a literary thriller. 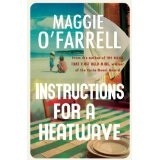 It’s a thoroughly engaging but disturbing book that forces you to think, to examine your own attitudes and prejudices. It also examines not just attitudes against women, especially older women, in mainstream society but also in the justice system. Not all books grab you from the start. 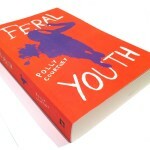 Feral Youth does. And it does much more. Many authors, even famous and respected ones, cannot always achieve a satisfactory ending. It’s extremely difficult to keep up the momentum, not just throughout the book but right to the last chapter. So I am quite often left disappointed when a great read doesn’t quite make it to the end. This wasn’t the case with Feral Youth. The tension is sustained throughout, and there were quite a few instances, especially from the middle onwards, where I found myself muttering ‘please, please don’t do that’ or ‘please Alesha, don’t go there.’ Indeed at times I almost held my breath fearing what the next twist would be. Like most readers, I had my own views on how I wanted it to end. We really do get into Alesha’s head and see the world through her eyes. Alesha’s attitude and life experience wasn’t the eye opener for me that it may have been for some readers because I worked as a social worker in a deprived borough many years ago. I know that the swagger and apparent indifference is a mask. Nevertheless it is a mask that is extremely hard to penetrate even, and maybe especially, for professionals. We are after all ‘the other side’, we’re ‘authority’, we don’t’ understand. What Polly Courtney has done is penetrate that mask, allowing us to see both the vulnerable and the hardened person underneath the defiance. She has talked, worked alongside and mentored young people who are in a similar position to Alesha. She’s canvassed their views, learnt their language and this has more than paid off. It shows the way it should, not in a shouty or obvious way, but in the authenticity of the characters and in the atmosphere and tone. What Polly Courtney has done is penetrate that mask, allowing us to see both the vulnerable and the hardened person underneath the defiance. We see the world through Alesha’s eyes. Character descriptions are sparely written and all the more powerful as a result. Miss Merfield, the teacher, comes alive mostly through her actions, her attitudes and her dress – revealing someone ‘on the other side’ who is in turns caring, vulnerable, foolish and sensible. Other minor yet important characters are a perfect demonstration of how ‘less is more’. Mr Slick with his red socks, slicked hair and false smile. Blowsy Beth, bursting out of her red dress. The woman in the care home asking all the ‘right’ questions but with no insight at all. The journalist, Alison, way out of her depth despite her cool braids and piercings. I could go on and on. Spare writing, vivid portraits. This short(ish) review cannot possibly do justice to the richness of this book. We really do get into Alesha’s head and see the world through her eyes – not comfortable but definitely enlightening. There are so many small scenes, snippets of dialogue, glancing references that take us into her world. What’s even more important this is a book that makes us stop and think. And continue to think after we have come to the end.